Award-winning events company CluedUpp is bringing its latest detective adventure ‘Sneaky Finders’ to Sheffield on 11 May. CluedUpp is turning towns across the globe into an interactive Cluedo board. Don’t worry, they haven’t taken things too literally, you will make it out alive. We think. The latest edition, which will appear in Sheffield in May, is inspired by the popular TV Show ‘Peaky Blinders’. Set back in 1921, the aim of the game is to figure out who has poisoned one of the most feared residents of a fictional town called Millingham. 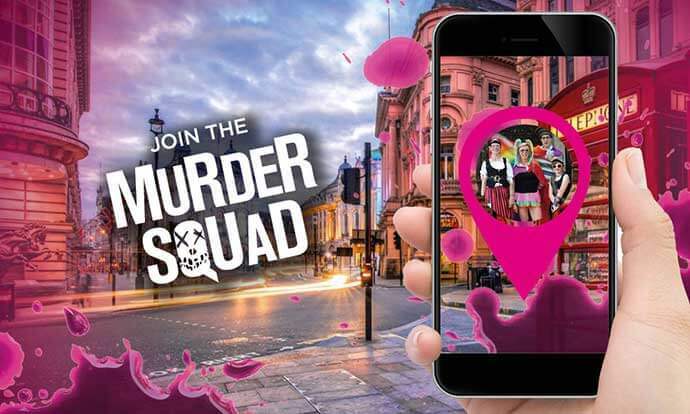 The game is played in teams of 2-6 players and requires a smartphone in order to receive clues via the CluedUpp’s app that will lead you on an adventure throughout the city to find the culprit. The game can take anywhere between 1-4 hours, depending on how fast your team can run and how quick you can piece together the clues. Tickets cost £36 per team, with players U16 going free as they will not count within team numbers. There will also be a variety of prizes up for grabs on the day such as best team name, best fancy dress and the works. Also, there’s an added bonus: you can bring your dog. What more could you want?